Hello friends! Finally, I have brought it back. Author interviews! At least for this month. My end goal is to have at least one a month. Should I find more authors interested, it could be more than just once a month. Fingers crossed friends. This month, I bring you Sarah Dawson Powell! I found Sarah on the comments section of a blogger that I read. She was talking about how she had just published her first book. I saw an opportunity and jumped on it. Thankfully, Sarah didn’t think I was a crazy person and agreed to let me ask her a few questions. Which brings us to today. Read the interview, then check out her books. I will add links to what books she has published so far at the end of the interview. What inspired The Fragile Line Series? I’m not sure. The image of Sadie, broken to pieces with a beautiful spirit inside of her, came to me one night when I was trying to fall asleep. My initial image of her was at a turning point in her life that comes a few years after the time period Beautiful takes place in. From that initial moment where I found Sadie, I wove her life together going not only forward, but backwards too. I needed to know how she got to the point I found her, and how she finds her way back to whoever she once was. Yes. When I introduced Aaron to the story, I needed a physical description that didn’t match any of the male characters I already had. At that moment, my kids were watching Nickelodeon and there was a commercial on for the Teen Choice Awards. Taylor Lautner appeared on the screen, and so that’s who I decided Aaron should resemble (Although, I totally thought Taylor Lautner was Justin Bieber because I was that clueless). What kind of research did you have to put into your novels? I did a lot of research on alcoholism and addiction for Sadie’s character, particularly symptoms of withdrawal. The locations in Beautiful are real places that I am personally familiar with (except Sadie’s college and their hometown of Willow Grove is fictitious). There comes a time later in the series where I had to research another location where I’ve never been. For Ryan’s character, I had to research a specific mental illness. For the most part, I write about things I already know. I try to be as accurate as I can. This is a tough one. Ever since I was a kid, I’ve always been a story teller. In junior high and high school, I started to write short stories and some poetry. In high school and college, I worked on the school newspaper, serving as editor-in-chief of my college paper for two semesters. 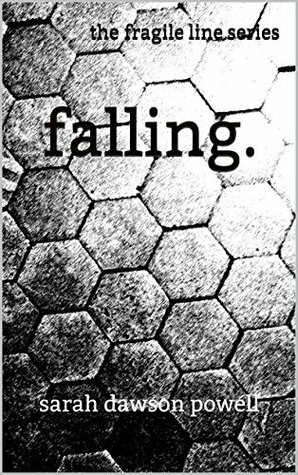 I began writing The Fragile Line series in March of 2010. I shared my beginnings with some friends and they gave me the energy to keep going. At the point I began writing the series, Sadie’s story had been burning in my brain for at least six months. I had to let her out to tell her story. I have sent probably fifty queries to agents for Beautiful. Every single one was rejected. It was discouraging and frustrating. I convinced myself the story was horrible and that I was a bad writer. But I didn’t give up. I kept writing, I just started writing other things. I have a few young adult novels that I will publish at some point. One of them, The Truth About Lauren, actually had interest from an agent. She really liked the story, and suggested some pretty minor changes. Unfortunately, her request for changes came at a time I didn’t want to change it, so I missed that opportunity. After that, I started four different projects, three of which remain unfinished. Late last year, my family went through a very difficult transition that took a deep financial toll on us. Christmas was fast approaching and I could barely afford to feed my family, let alone put presents under the tree. I prayed. I prayed a lot. And then I knew I needed to sell my books. 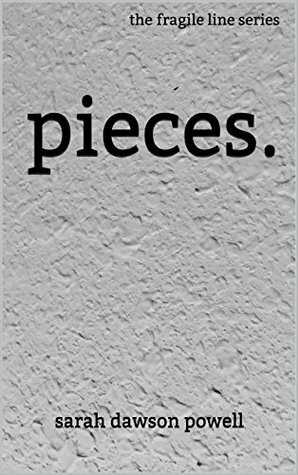 So I self-published out of desperation with the hope I would be able to save Christmas for my family. I write when I feel it. Weekends are the best time for me to write. I can pound out 10,000 words in a day if that’s all I do. I don’t have a word or page goal. I have to feel it to write it. I can’t force it. Sometimes a scene will dominate my mind to the point it hurts if I don’t get it out. My family is supportive of my writing, but there are times when I get in so deep where I begin to neglect the rest of my life. Honestly, nothing. I love words and the power that they hold. I am lucky that it comes so easy for me. I guess the hardest part is stopping. How long have you been working on the Fragile Line Series? I began in March 2010. At that time, I wasn’t thinking about publishing it. I just had to get it out of my head. I finished in October 2010. It was 318,598 words and 681 pages long. Then I began rewriting. 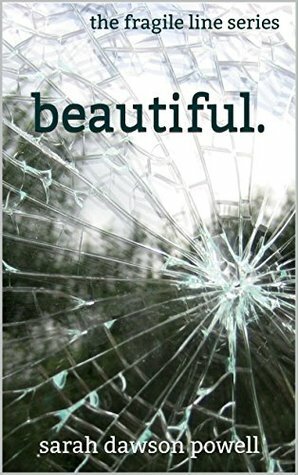 I decided to split the full thing up into smaller novels, and Beautiful is the first installment. Sadie’s story needed to be told. There are a million girls out there dealing with the things she deals with. I feel that people like to pretend that these problems don’t exist in our world, and never could a couple of good kids like Sadie and Ryan end up the way they do in Beautiful. But this is reality. It’s happening. I wanted to people to realize that. I do not. I have five completed, and that covers about a third of the original story. I have added stuff and taken stuff out. It’s really hard to say when it will end. I’m not sure. I have written a couple of YA novels, as I mentioned above, so I will publish those along the way. I plan to finish my incomplete projects as well. Do you want to make a career of writing? Yes. Yes. Yes. And yes. That is my dream. I would. It would be amazing to not have to worry about the cover or marketing. And it would be even more amazing to hold my work in my hand in actual book form. How long did it take you to write the first book of the series? When I began rewriting, it went rather quickly. I think it took me about three months to finish it. Nope, all the typos are my own fault. I have had a few friends look things over and give me pointers over the years, but no one I have ever paid. I read contemporary fiction for adults and teens. I also like memoirs of people who have overcome obstacles in their lives. I cannot comprehend vampires, werewolves, or anything else that is ‘fake’. Although I did read the Twilight series while I was writing Beautiful. My all-time favorite book is Divine by Karen Kingsbury. My two favorite authors are Karen Kingsbury and Ellen Hopkins. And anyone who knows who these two authors, are knows that they are at the complete opposite end of the spectrum when it comes to contemporary fiction. Odd as it may be, I prefer traditional hard copy. I have a Kindle and a Nook, and I use them, but I still love to feel the pages in my hand. I have three. Gone With the Wind, My Girl, and Titanic. Taylor Swift. Her songs have inspired so much of my writing. The words ‘fragile line’ are actually from one of her songs. She has haters, and I don’t care. I think she’s awesome. Just keep writing and reading. Writing gets better with time and practice. Reading lets you see different styles. Think of it like a sport: practice every chance you get and observe how the greats do it. I just want to say that I am overwhelmed and humbled at the love I have received from people with regard to my books. When I hear that someone couldn’t put my book down, or that my words made them cry, or made them angry, it means the world to me! Readers need to know how important it is to review a book. Blog: SarahDawsonPowell There are previews to all three books on the blog! Goodreads: Honestly, I kinda forgot about Goodreads. I used to have the app on my phone and deleted it at some point. I will make it a point to get this updated! Thank you again Sarah for allowing me to pick your brain. To my readers, if you read any books by Sarah, please leave a review. We all know the importance of supporting authors. They need our feedback. Especially the ones that have self published. As promised, here are the links to the Goodreads pages of the books by Sarah.